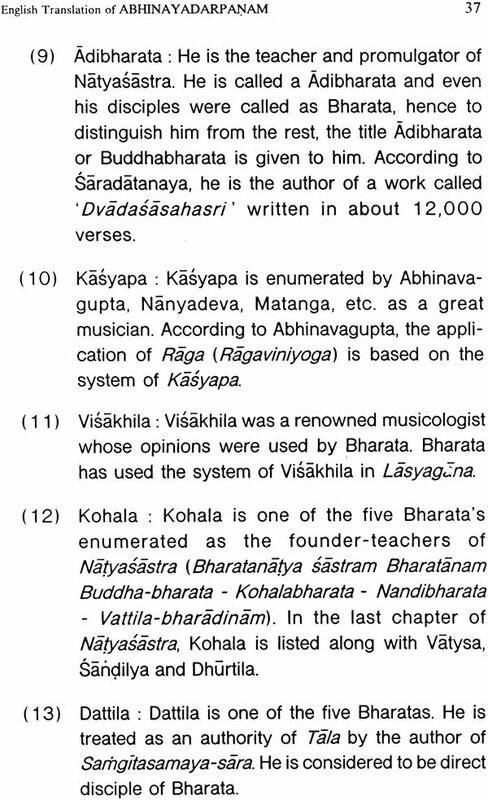 Abhinayadarpaoa, the monumental text by Acarya Nandikssvara has undergone studies and translations earlier. When the publishers approached me to write a translation for the text my task was challenging for the reason that stalwarts have already laid a path which I had to tread carefully. While preparing the present edition, care has been taken to ensure that it becomes a concise guide to the students of Indian theory of Dance as well for the research scholars. 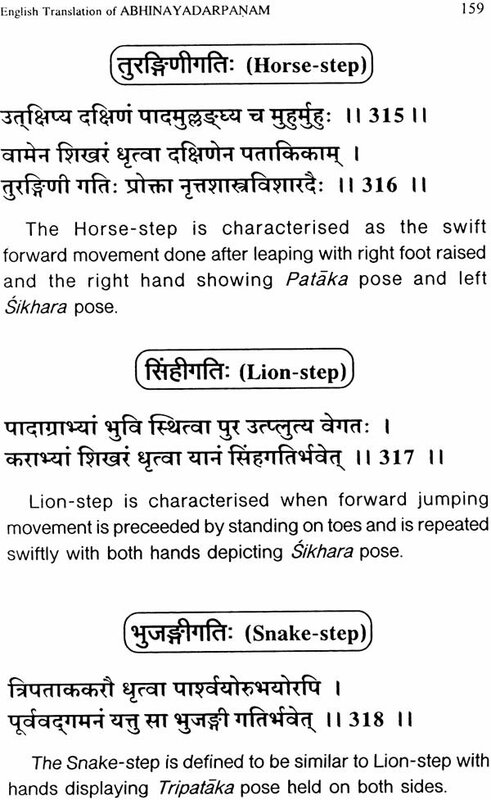 An elaborate introduction and a summary of contents of Bharatarnava, another text on Indian Dance attributed to Nandikesvara is also given for the general readers. 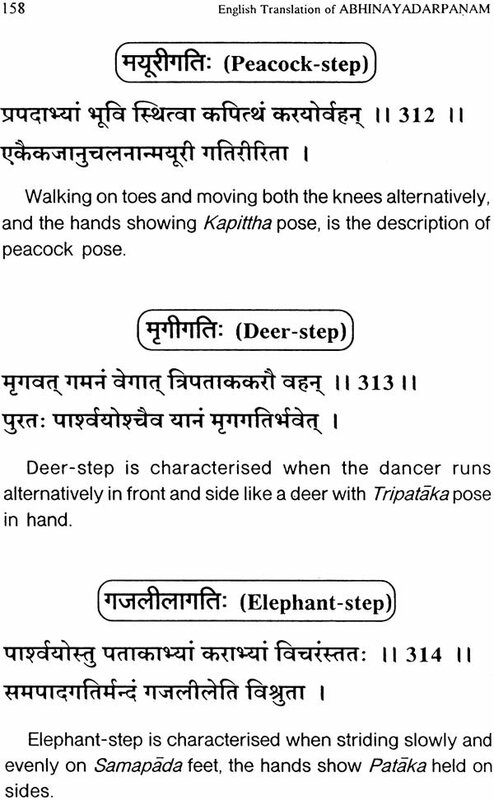 This work tries to give a faithful translation of the text Abhinayadarpana and I have added as appendix few information which would be of immense value to both practising dancers as well as theorists of dance studies. 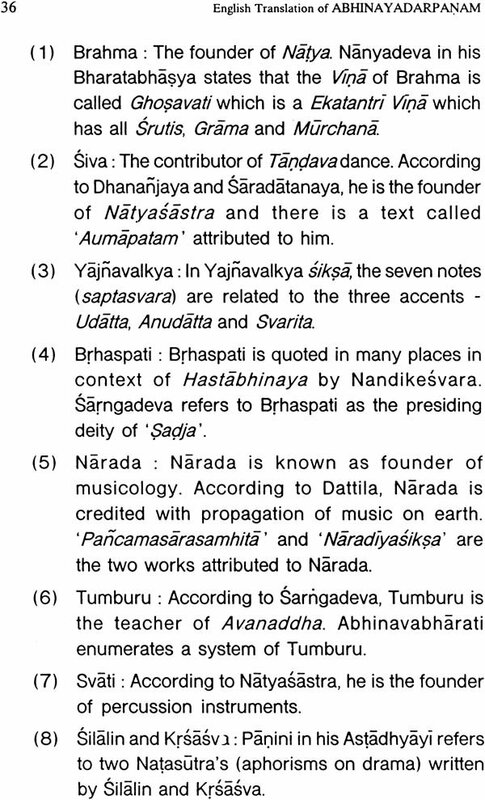 For the research scholars, information on various theories about Nandikesvara, date and his identity, a list of preceptors of Indian Dance-Drama-Music tradition, list of works dealing exclusively with Natya is given. 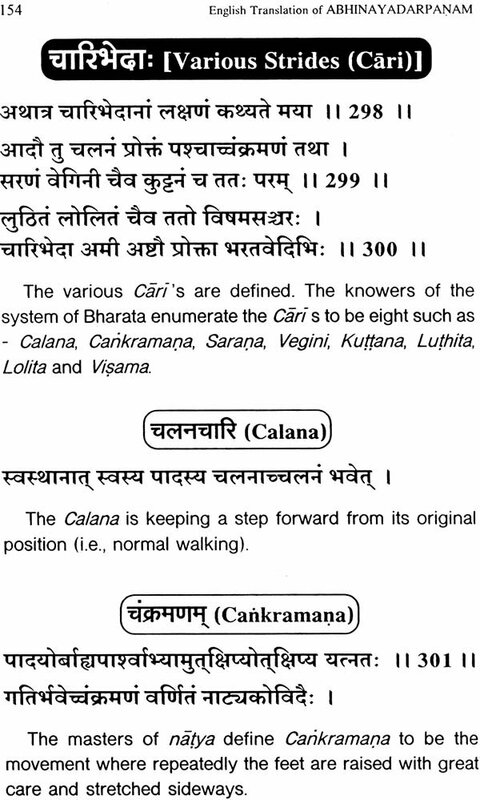 The book also includes a short account of Bharatarnava, another work on Natya attributed to Nandikesvara. 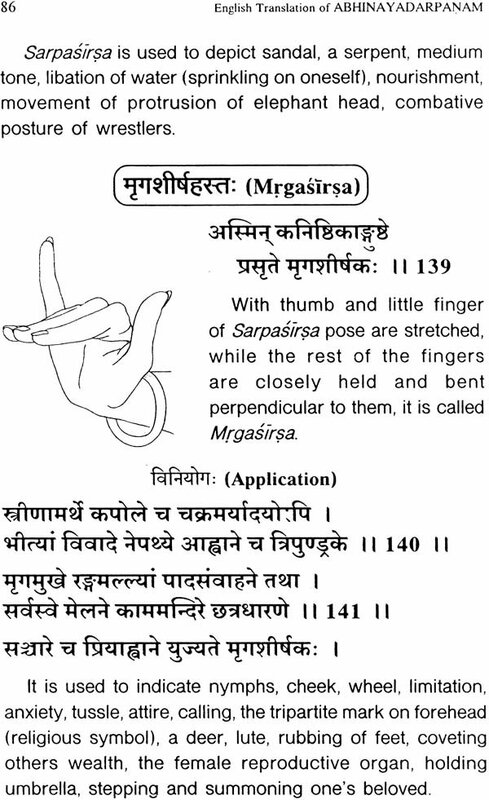 For the practising students, a diagrammatic representation of Hasta Mudras are also given for easy reference and a few glances (drsti) for delineation of Rasa, Sthayibhavas and Sancaribhavas are given. 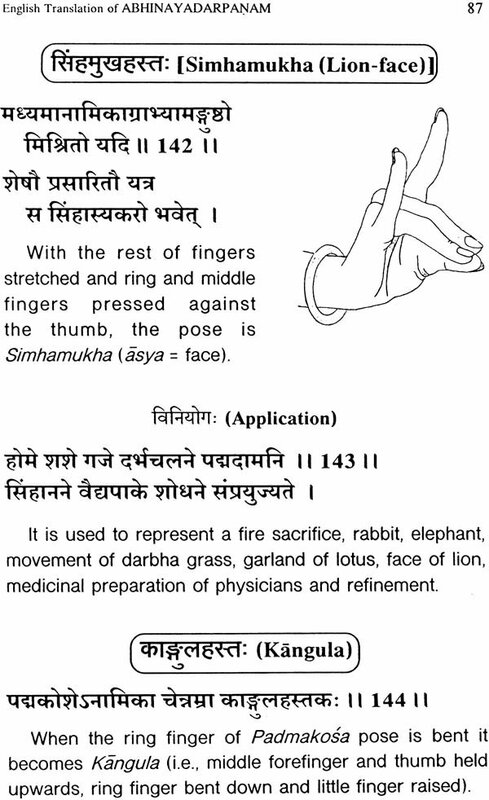 Kindly note that all the pictures denoted in the book are not depicted in the respective distance which ought to be according to the text and the pictures serve only as a guideline to understand the text though there may be slight variations in the schools of practice. The author would consider it to be his good fortune, if the book serves the need of the connoisseurs of Indian Dramatic Tradition. In this endeavour, I am thankful to Sri. S Ramanarayanan of M/s. Giri Trading Agency Private Limited for having given me this opportunity to serve the scholastic world with this small contribution. Also, my heartfelt gratitude to Smt Sushama Ranganathan who introduced me to the publishers to do the project. As a homage to my teacher to whom I owe all my academic achievement I place my reverential salutations to Dr. K Srinivasan.